I very rarely go into Lush and I really do not know why as I love it! I love going to my local store as it smells absolutely incredible and everyone who works in there is super friendly and helpful. I don't think I have ever gone in there and had a bad shopping experience. I went in a couple of days ago to find my sister a present and left with a little prezzie all for myself. My friend and I got sucked into a little world full of wonderful fragrances, bath bombs and bubble bars galore. I love looking at all of the bath bombs and discovering new bath products I haven't yet seen before. 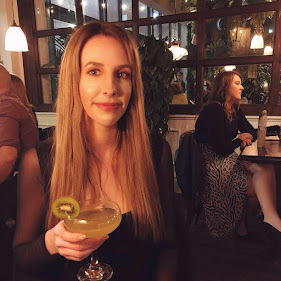 There were a few of the new products which are exclusive to Oxford Street in my local store and I did pick up some but today, let me tell you about the Lush Rose Jam Bubbleroon. The Lush Rose Jam Bubbleroon has had a little bit of a make-over. 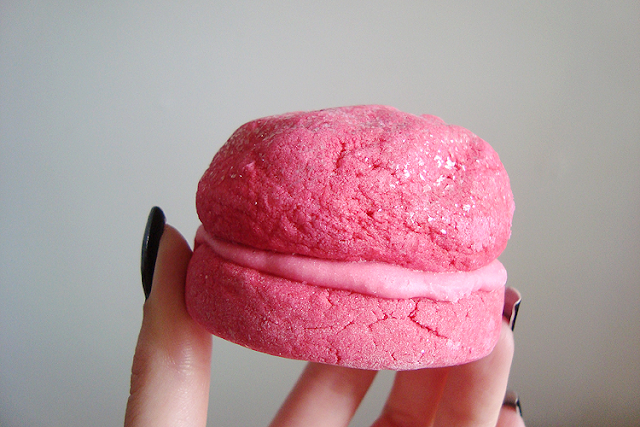 Before, it looked a bit like a deformed marshmallow but now it resembles a wonderful, princess-inspired macaron. 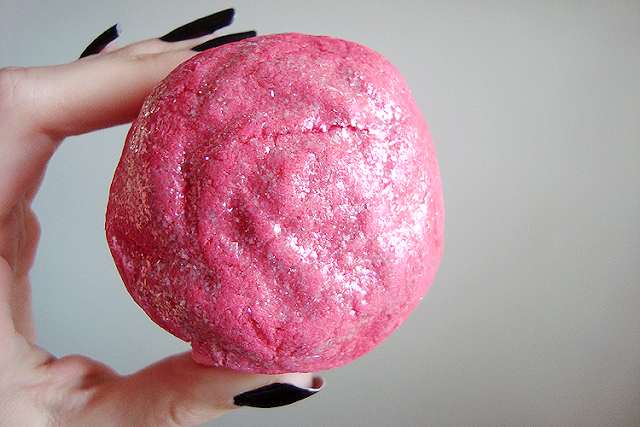 A princess-inspired macaron with a gorgeous coconut oil filling. 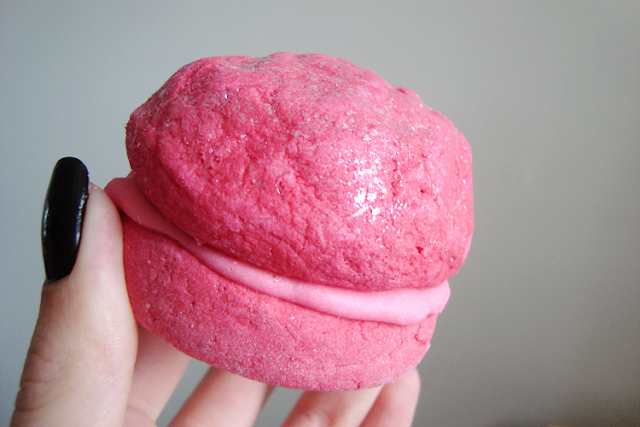 It is a Bubble Bar but it is named a Bubbleroon for its resemblance to the macaron - I see what they did there! The Bubbleroon is available in three different varieties, Rose Jam, Yuzu and Cocoa and The Green. "Pep up your spirits in a bath filled with Rose Jam: lemon, rose and geranium oil will help perk you up, while coconut oil and shea butter leave you feeling gorgeous. You'll end up feeling as cheered as though you'd been given a bunch of flowers. Rose oil and rose absolute give a double dose of rosiness, helping to clear the mind and boost your mood." "Either crumble the whole Bubble Bar up and drop under hot running water or crumble into half and save a piece for a later. Watch as the bubbles build up!" In the shop I was drawn to Rose Jam purely because it was a hot pink with a lovely pink glitter dusting on top. It smells absolutely incredible! It smells like rose: a beautifully sweet but not overpowering scent which is perfect to sink into after a long day. I had never used a Bubble Bar before so didn't know whether or not to dunk the whole thing into my bath or not. Luckily the very helpful lady in Lush told me to crumble half in at a time to make it stretch further. You can put the whole thing in if you wanted to but to test it out I just crumbled 1/4 in to see what magic would happen! The Lush Rose Jam Bubbleroon is wonderfully soft and easy to crumble under hot water. I dropped it into my bath and immediately saw bubbles galore and the bath turned a lovely pink shade. My house suddenly filled up with a gorgeous rose scent and I had a wonderfully relaxing bath after a hard morning at the gym. My only one negative point about this Bubble Bar is that the bubbles didn't stay around for very long. I am so impressed with this gorgeous little Bubble Bar and definitely want to try the other Bubbleroon's. I know for the cost of the Bubble Bar (£3.75) you could buy a whole litre or two of bubble bath cream/gel but we all deserve a little treat now and again! Looks great when in need of some pampering and I can't believe how cheap it is! Love your blog! 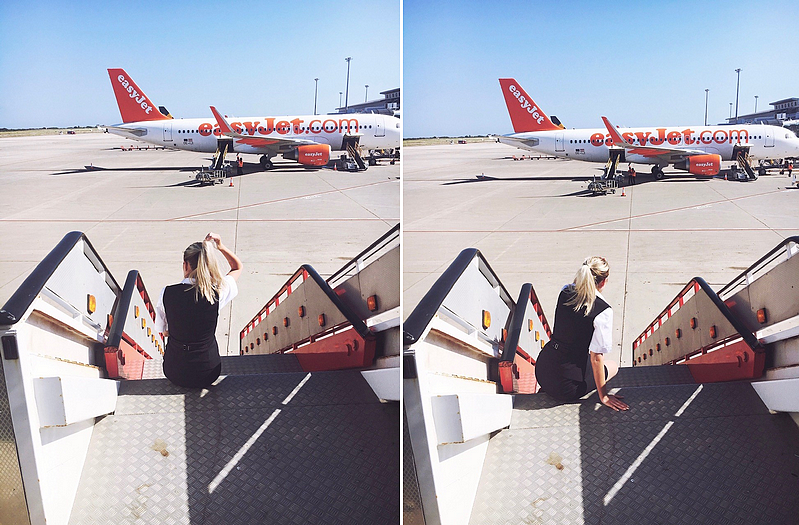 Following on Bloglovin & GFC!